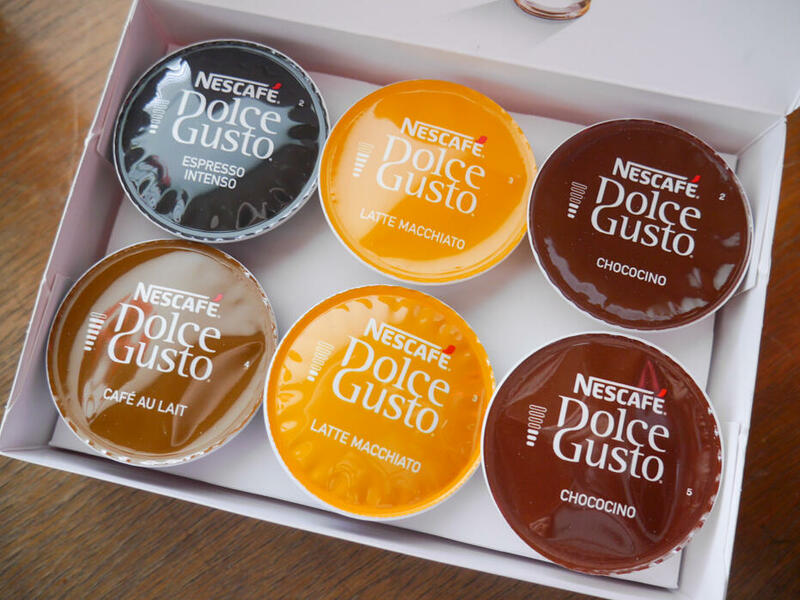 The #KinkyBlueFairyTeam was invited to the Nestle Headquarters for a peek of their Nescafe Dolce Gusto machines. 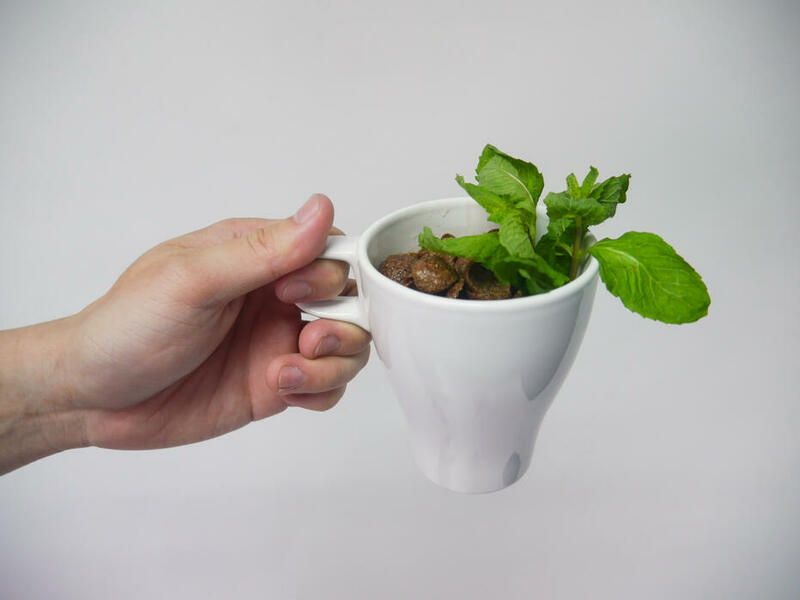 We were even given a 101 crash course on how the coffee machines work and how to create masterpieces in a cup from the comfort of our home or office. It felt like a 2-hour coffee buffet spread. It was interesting to observe everyone’s coffee-drinking habits/preferences. For me, I’m a Latte girl, preferably with no sugar. 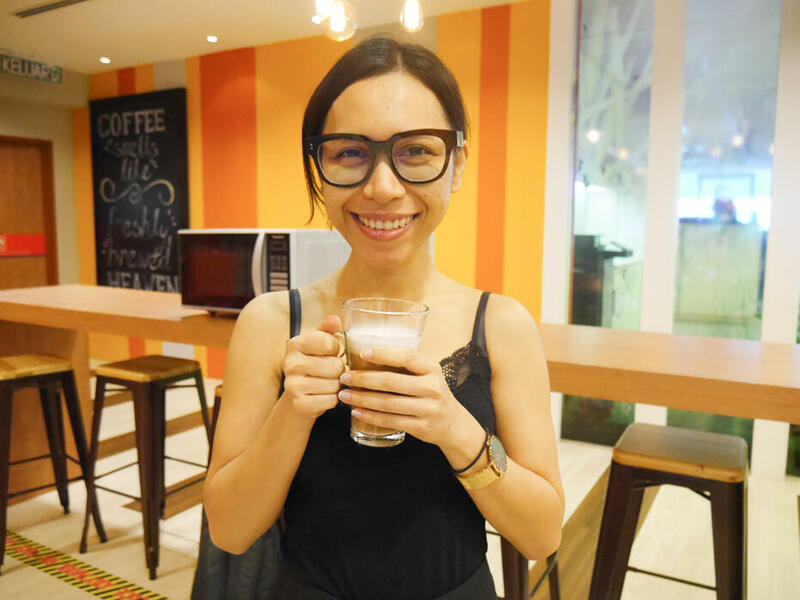 A friend once told me that the personality traits of Latte drinkers are that of a comfort seeker and crowd pleaser. I wouldn’t know how true it is. I mean, it’s just a coffee preference. We had a lot of fun tasting each and every cup of the coffee that their in-house barista made, and critiqued as though we were experts, haha. 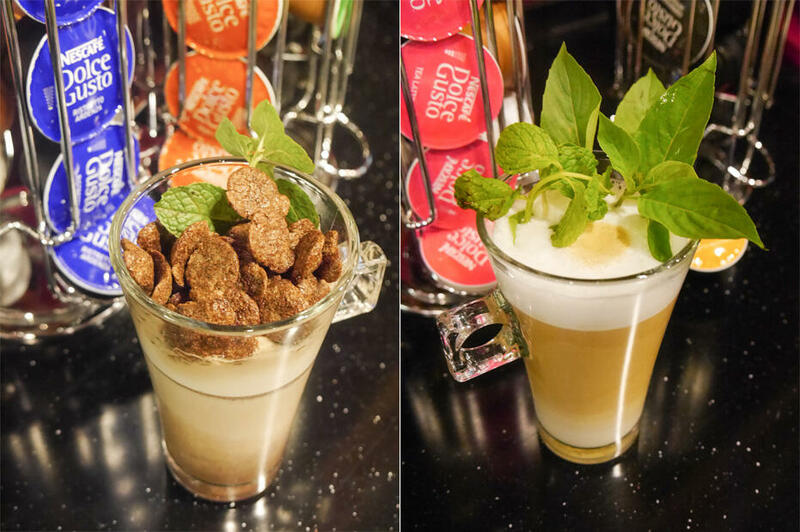 Their in-house barista taught us a couple of recipes that we could try at home, like the Crunchy Mint Milo and Asian Fusion Latte. Faridah/King being her usual gungho self, had a go at making her own cup of coffee when no one else wanted to. She chose to make a tea latte. 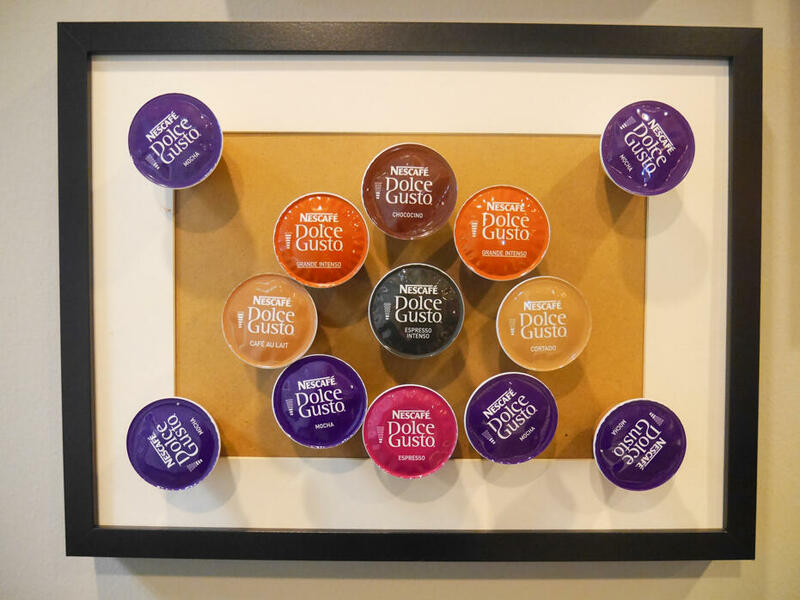 This was one of the many coffee capsule artworks I saw hanging in the Nestle pantry, made from used coffee capsules. Coffee capsules that were sent along with the machine. 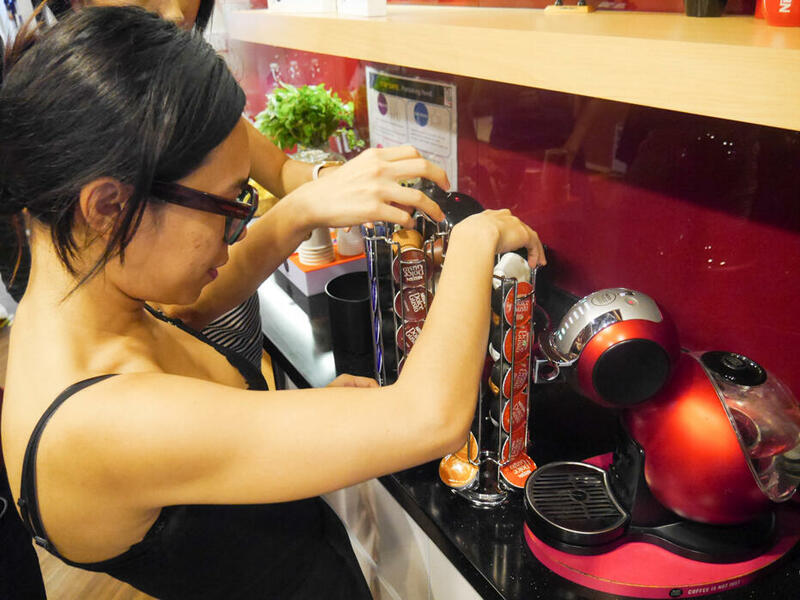 The model that is now happily sitting in our office is the Genio 2 Automatic Red Metal, which utilizes a maximum 15-bar pump pressure for a perfect froth. 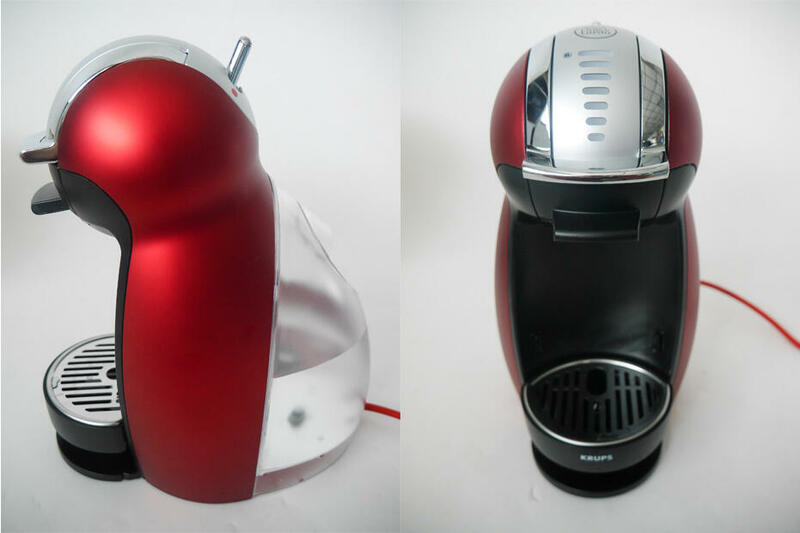 The machine design is super adorable and it resembles a penguin! We have decided to name it Raymond Junior. The real Raymond is ecstatic about his new penguin friend! 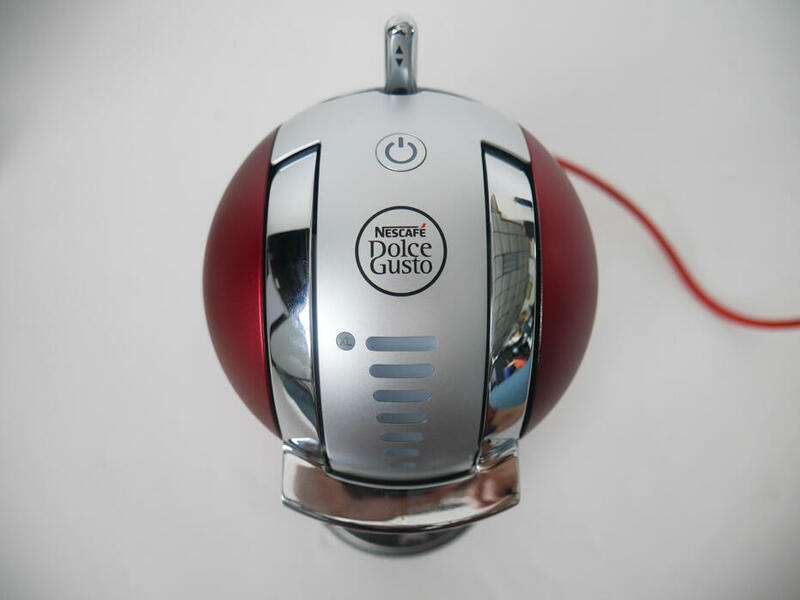 Nescafe Dolce Gusto machines are of unique and unconventional shapes which aren’t big and bulky, so it doesn’t take up much space. You can choose a design that best suits your preference or interior, opt for manual or automatic, then call your friends over for coffee to impress them! Check out all the machine designs *HERE*. 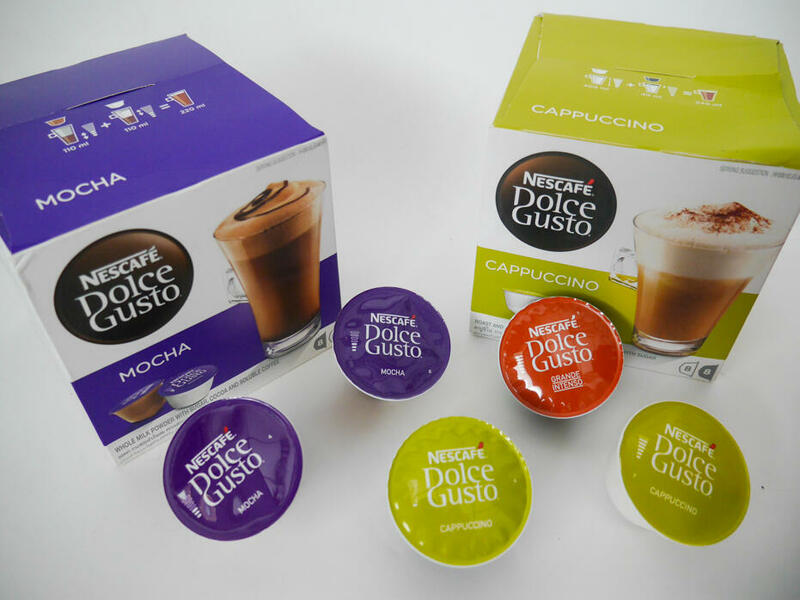 The Nescafe Dolce Gusto machine delivers outstanding masterpieces coffee whose capsules use premium quality coffee beans for great blends. 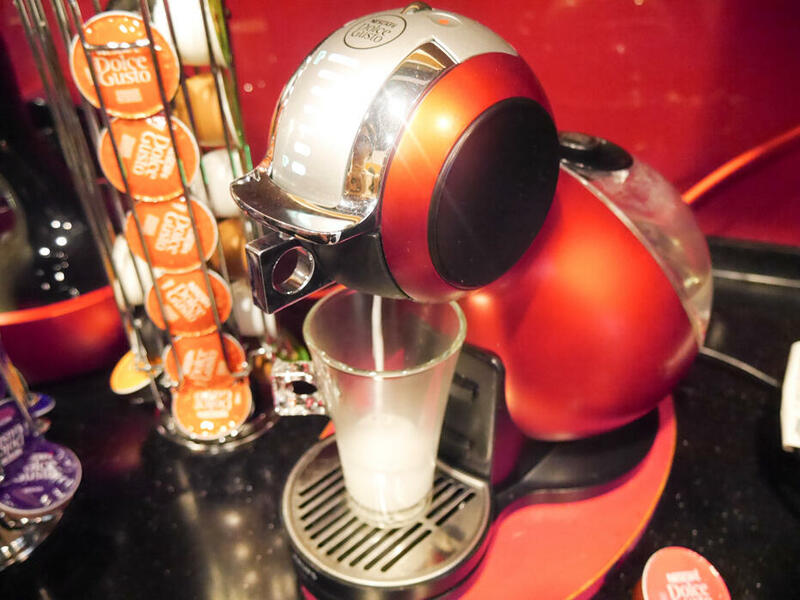 There are over 18 different flavours of beverages to choose from- coffee, tea, chocolate, you name it. 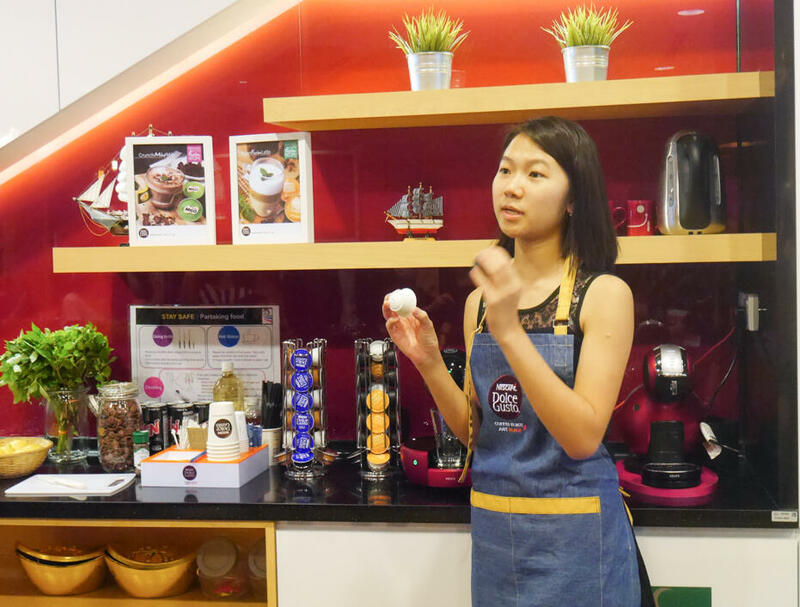 You can even be a barista of your own and come up with unique connotations by using different varieties of Nescafe Dolce Gusto flavour capsules and other ingredients. That was exactly what we did at the office! 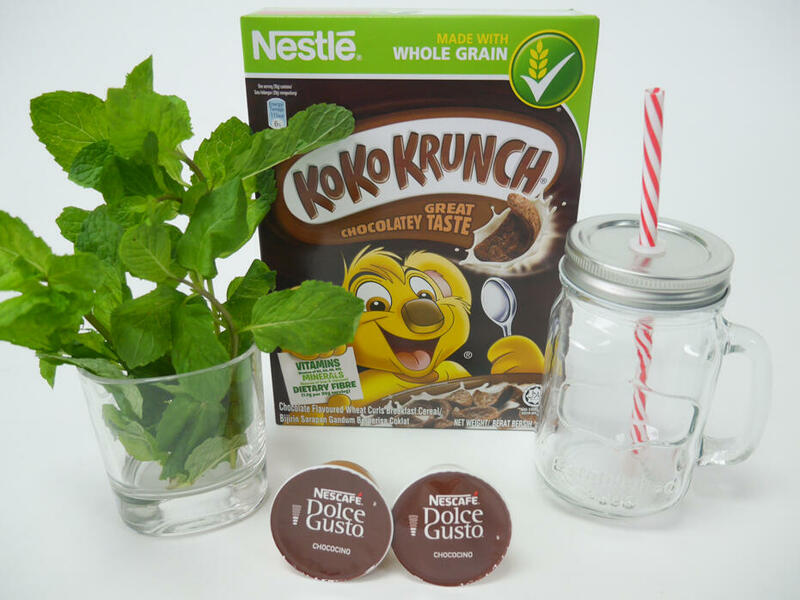 I got some mint leaves, koko krunch and Chococino capsules. And of course a pretty mug for aesthetic purposes. But I realized that the coffee mug was too big so I changed it up. It was an easy and fuss-free process. Each capsule indicates the amount of bars (pictured left) that I had to set on the machine, and my drink was ready in under 3 minutes. 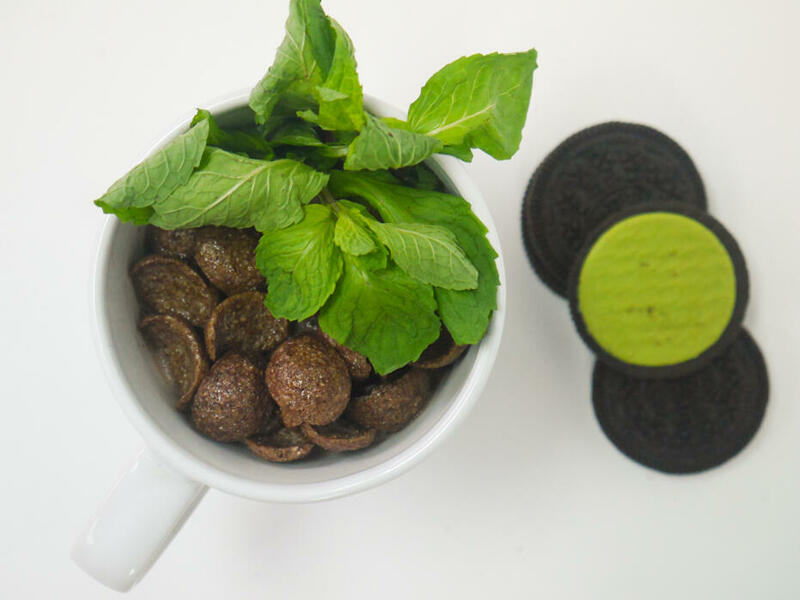 My masterpiece, the Mint Choco Crunch. 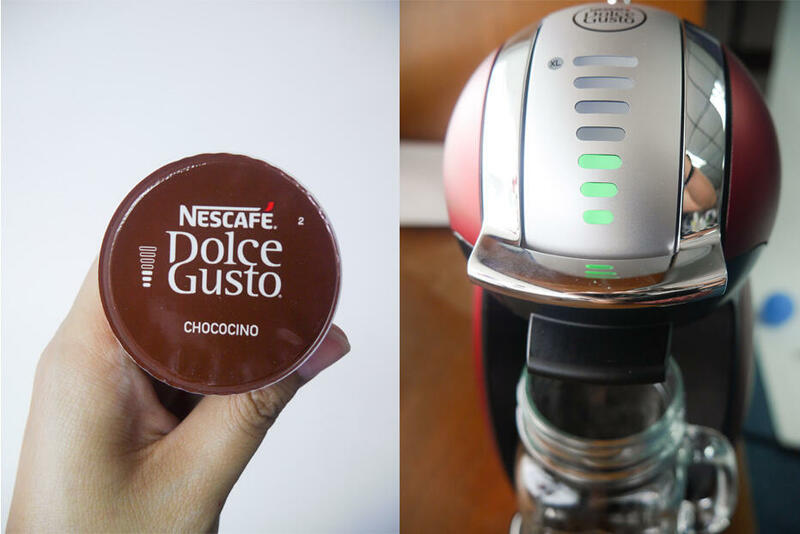 If you’ve been thinking about getting a coffee machine, the Nescafe Dolce Gusto is one that you should consider. I’m definitely sold on how cute and compact they are. They’re running a promotion for the month of May where you’re entitled for 30% off the Genio machines when you purchase any 3 boxes of flavour capsules on their webshop *HERE*. 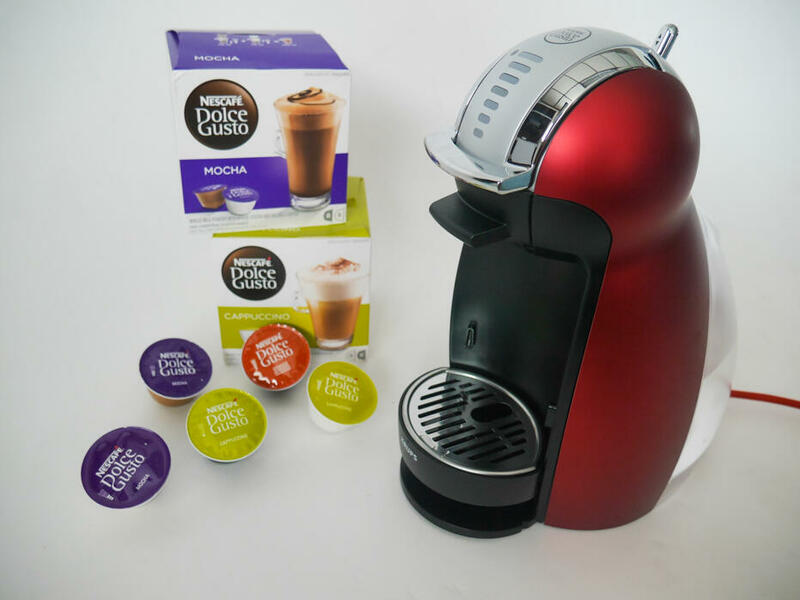 The #KinkyBlueFairyTeam will be happily indulging in our morning dosage of caffeine with this new addition to the office. We love you, Raymond Junior!